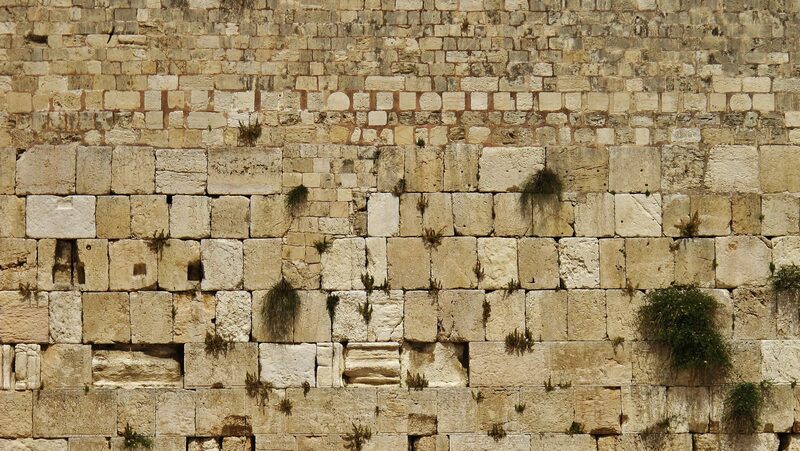 The Ninth of Av, is an annual fast day in Judaism that falls in July or August. Its name denotes the ninth day (Tish’a) of the Jewish month of Av. The day has been called the “saddest day in Jewish history”. When the ninth of Av falls on the Sabbath, the observance is pushed off until Sunday the tenth (although that day is still referred to as Tish’a B’Av). The fast commemorates the destruction of the First and Second Temples. Those two events occurred about 656 years apart, but on the same date. In connection with the fall of Jerusalem, three other fast-days were established at the same time as the Ninth Day of Av: these were the Tenth of Tevet, when the siege began; the Seventeenth of Tammuz, when the first breach was made in the wall; and the Third of Tishrei, known as the Fast of Gedaliah, the day when Gedaliah was assassinated (II Kings 25:25; Jeremiah 41:2). From Zechariah 7:5, 8:19 it appears that after the building of the Second Temple the custom of keeping these fast-days was temporarily discontinued. Since the destruction of Jerusalem and of the Second Temple by the Romans, the four fast-days have again been observed. Bar Kokhba’s revolt against Rome failed in 135 CE. Simon bar Kokhba was killed, and the city of Betar was destroyed. Following the Roman siege of Jerusalem, the razing of Jerusalem occurred the next year. Sabbatai Zevi, the false Jewish messiah, was born on Tisha B’av in 1626. In the First World War, Germany declared war on Russia on August 1, 1914, Tisha B’av. On July 31, 1941 coinciding with Tisha B’Av, under instructions from Adolf Hitler, Nazi official Hermann Göring ordered SS general Reinhard Heydrich to make all the necessary preparations for the Final Solution. The first transports reached Treblinka and the extermination of the Jews of the Warsaw Ghetto began on July 23, 1942 .